The term “3bet” has a tendency to cause confusion, especially amongst newer players. It frequently happens that a new player will assume that a “3bet” is a raise roughly 3 times the size of the previous bet. It’s quite easy to see how this assumption arises. Let’s first consider the correct definition of “3bet”. 3bet = The third bet in any given sequence of bets. Three betting light is largely one of the most notable advents of the new era in poker strategy. Before the poker boom, very few if any players would have known what a light three bet was, let alone how to use it most effectively. If you are unfamiliar with the term altogether, a light three bet means that you are making a re-raise with a weak hand. Your 3-bet is being made in an attempt solely to take down the pot before show down. Get in the action, anywhere, anytime! Check our Live Betting Options! Light three bets have multiple purposes, which is something that some players fail to realize. Ideally you will be able to force folds right away and take down the pot as a result. If you get caught making a move, however, it is not all bad news. If you are caught in the middle of a light three bet, it means that your image at the table has changed drastically. You can use your failed moves to your advantage later on. In tournament play, light three bets have their time and place. The mistake that many players make is attempting to three bet light when the situation just doesn’t call for it. Three betting light in the first hand of a tournament is just not smart. Can you think of a benefit to a light three bet in this spot? Probably not a real good one, which means it isn’t worth doing. Light three bets are going to be particularly risky when you are in a tournament. For this reason they tend to be more widespread in cash game play. In ring games, players can three bet, fail, and reload. If you fail with a 3-bet in a tournament, you are out of those chips indefinitely. There is certainly a real art that is involved in three betting light in tournaments. One small misstep and you could be in a world of hurt. Support your Team! Start betting now! It doesn’t take a huge amount of statistical analysis to realise that 3betting makes more money than cold-calling on average. The only reason we don’t 3bet our entire continuing range preflop is that our opponents might adjust and begin to exploit us, when they realise we are 3betting too aggressively. The idea is to get away with 3betting as much as possible without our opponents being able to make exploitative adjustments. To put it simply, we need to incorporate 3betting into our strategy because it can provide a significant boost to our winrate. The decision to make a light three-bet should be carefully considered. Aside from your own comfort level when making this sort of play, there are at least three other factors you’ll want to consider before reraising light. Your opponent. Probably the most important factor to consider before reraising with a marginal hand preflop the playing style of your opponent. 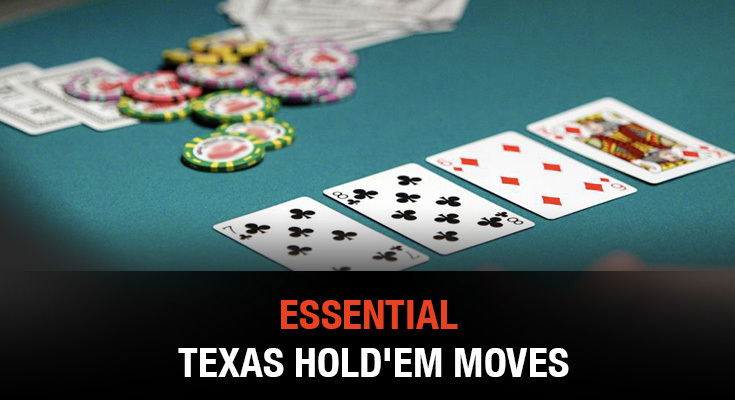 Usually you’re making the play in the hopes of getting a fold either preflop or on the flop, something that is only going to work if you’re up against a player capable of making such folds. Tighter opponents are going to better targets for light three-bets, but be careful not to get involved with a super-nit who only makes initial raises with monsters and thus isn’t likely to let go. Position. The light three-bet is always going to be preferable in situations where you’ll have position on the raiser post-flop. This fact alone may sometimes encourage the preflop raiser to fold to your three-bet, and if not you’ll still have both initiative and position once the first three community cards arrive, thus increasing the likelihood of picking up the pot at that point. A light three-bet from the blinds can be beneficial occasionally against obvious steal attempts from late position, discouraging players from picking on your blinds going forward. But don’t get too carried away with such blind defenses — especially in cash games — since you’re really just making the pot bigger with a so-so hand and playing out of position. Stack sizes. The light three-bet preflop is of little value in short-stacked games since in many cases you’re committing too great of a percentage of your stack before the flop to allow for much room for maneuvering should your opponent do anything but fold. Medium-to-deep stacked games are better for trying light three-bets, although be aware that the deeper the stacks the more likely players will call and stick around for flops — or perhaps even come back with four-bets (including “light” ones with less than premium holdings). Get all the latest Poker News and updates on your social media outlets. Find us on both Facebook and Google+!